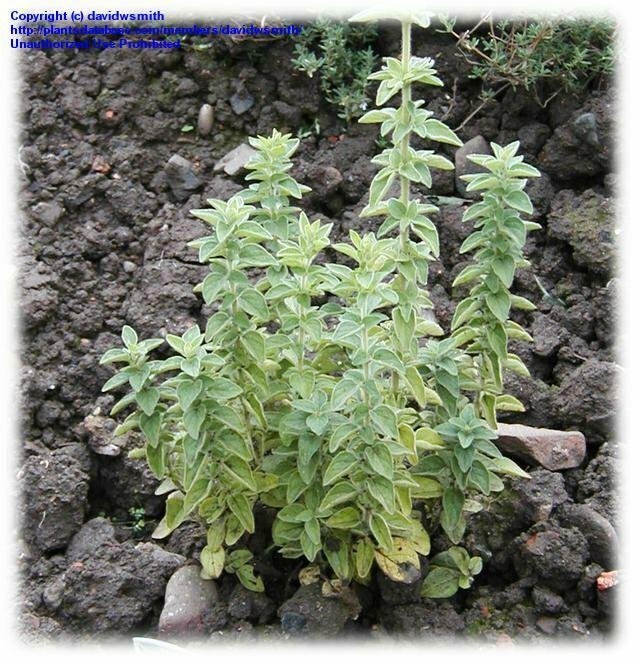 Grown in Linlithgow Scotland near Edinburgh Photo October 2002. 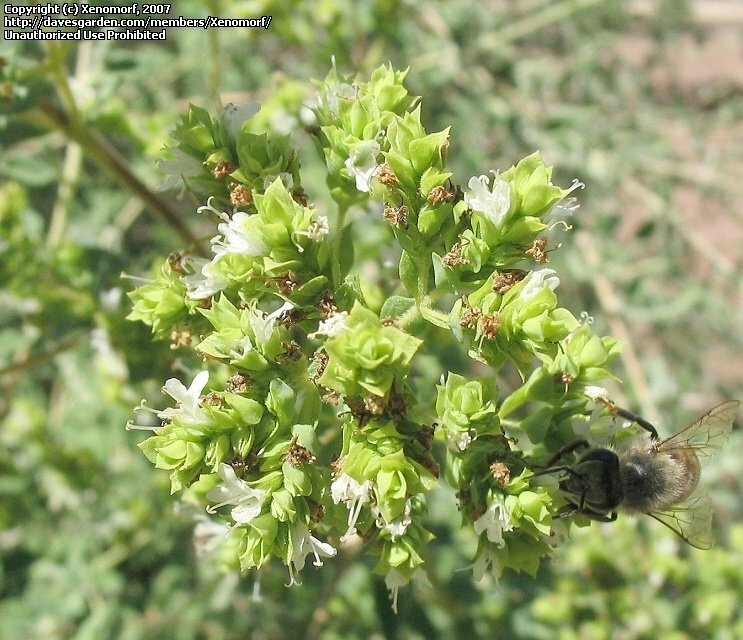 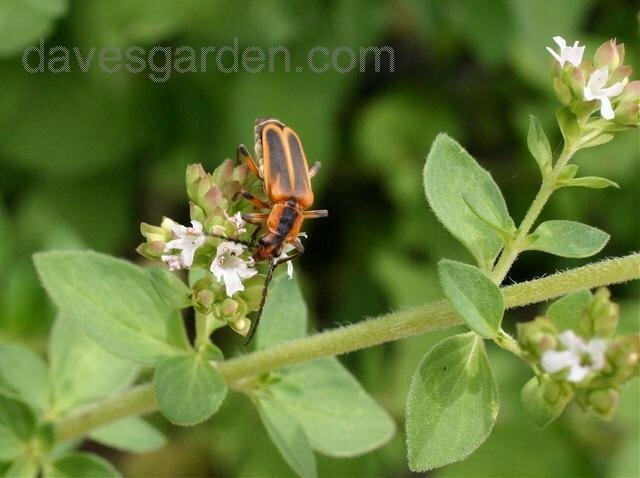 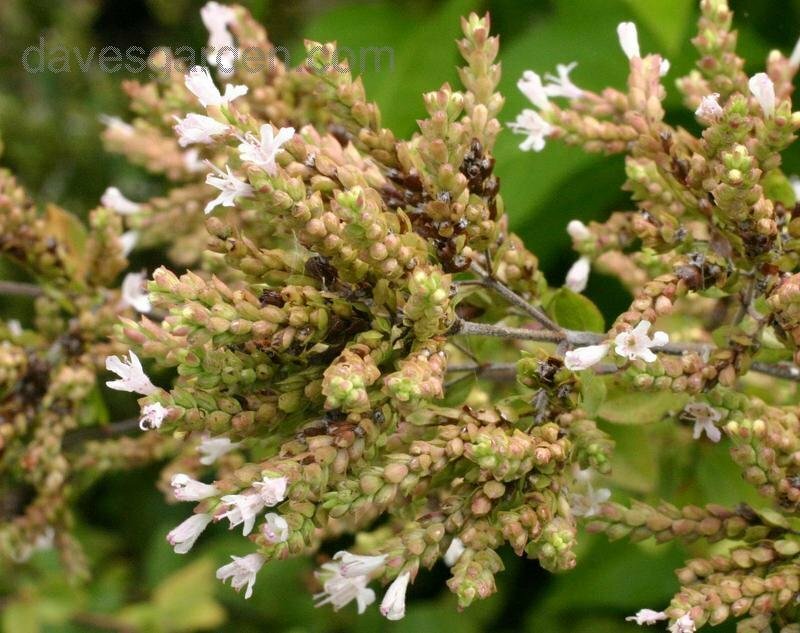 Oregano flowers are attractive to many insects. 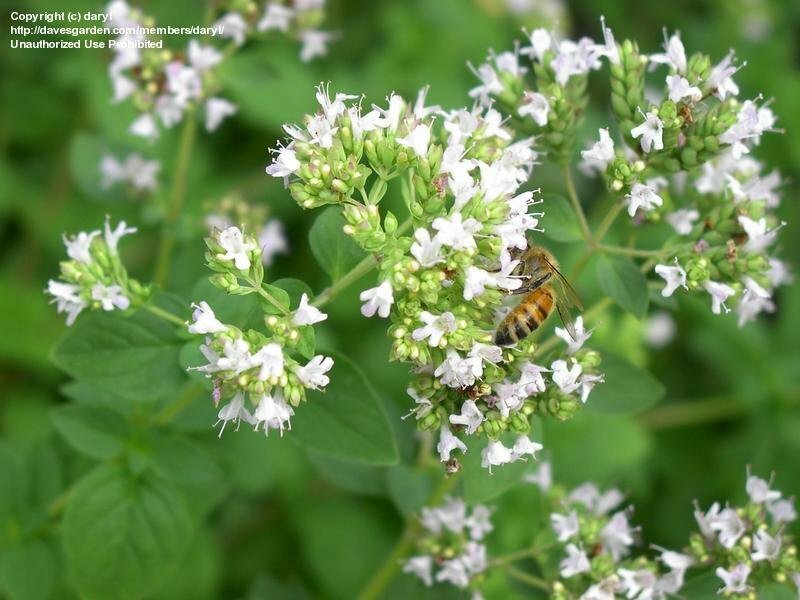 Fireflies find the flowers irresistable. 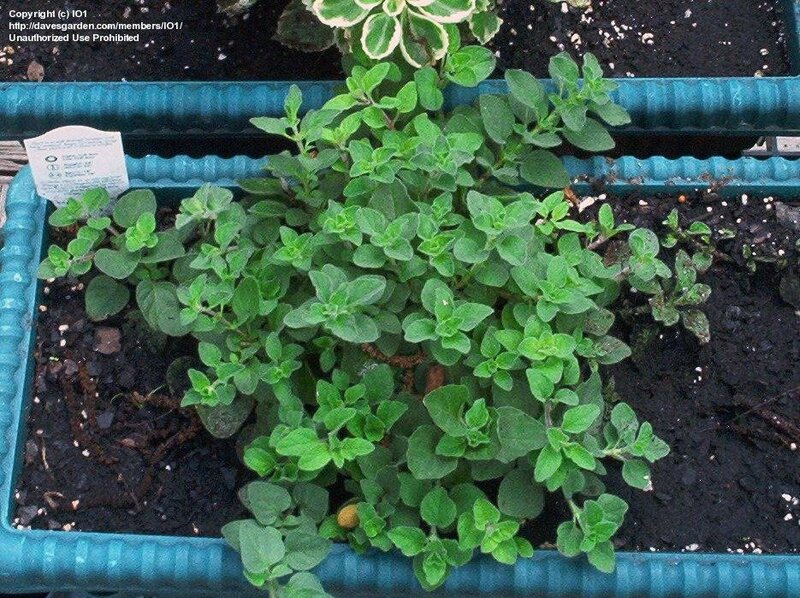 Seed pods forming on Oregano. 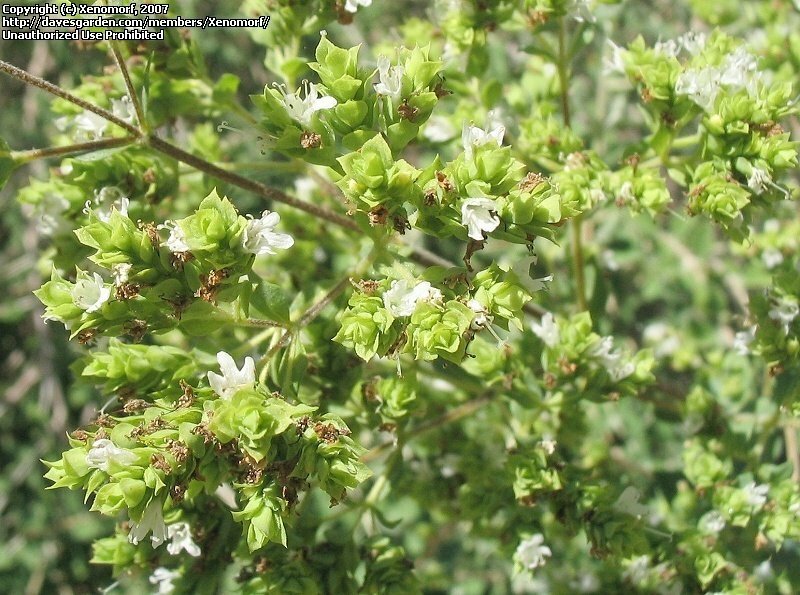 Greek oregano just bursting into flower. 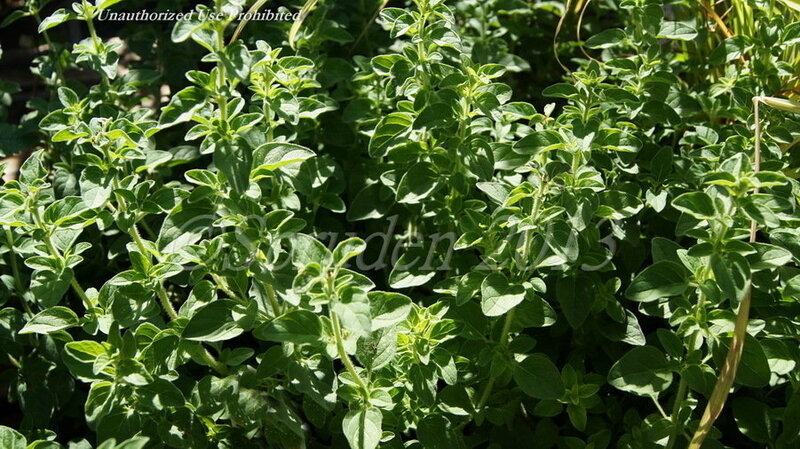 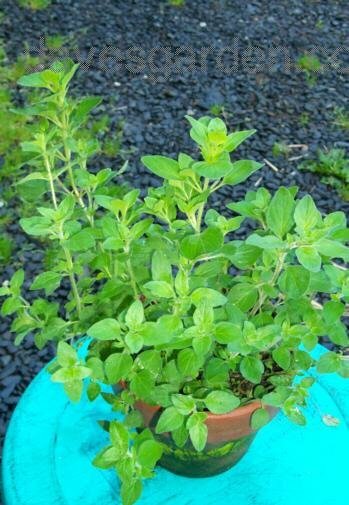 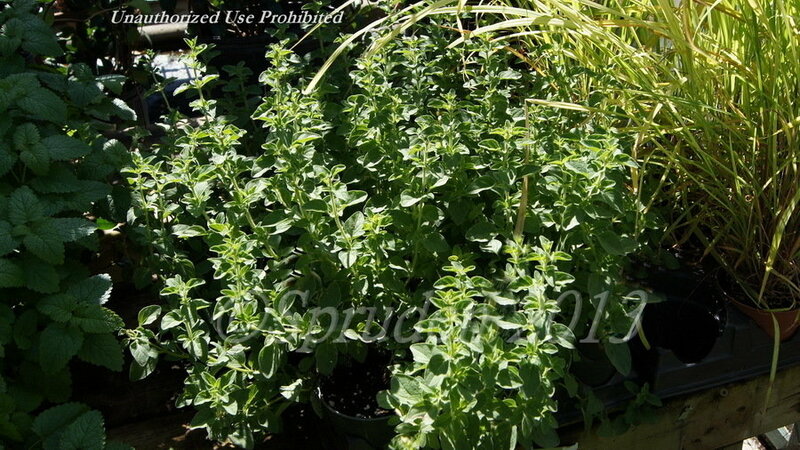 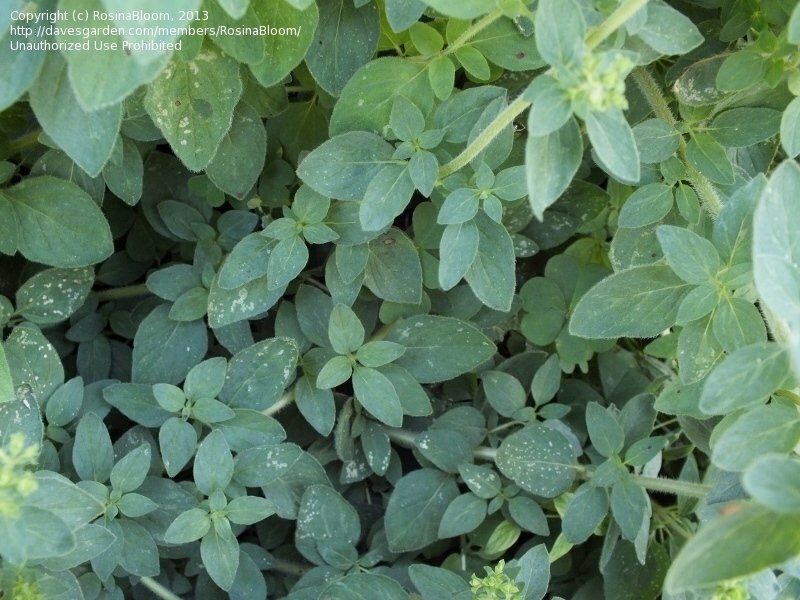 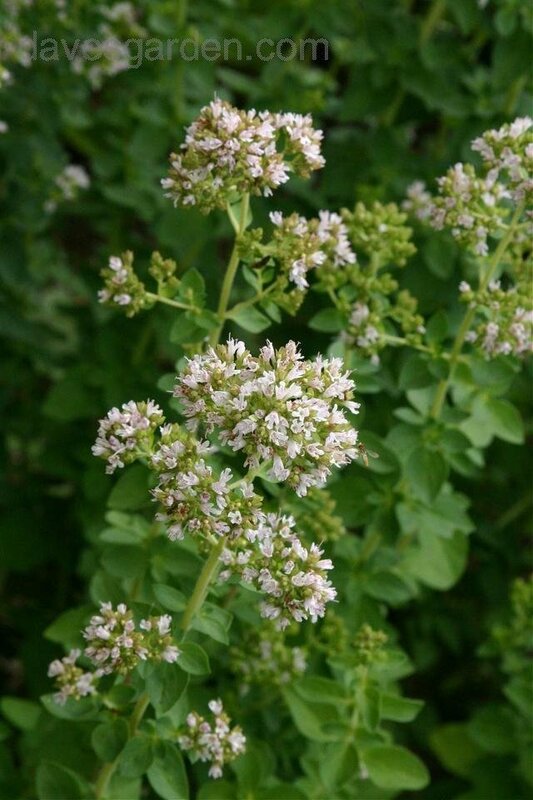 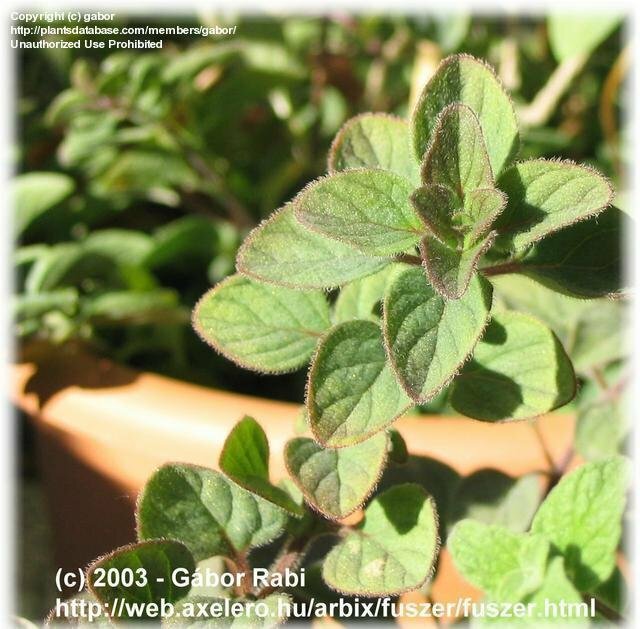 It is easy to tell from Italian (marjoram) oregano because greek oregano's leaves are blunter and more blue green. 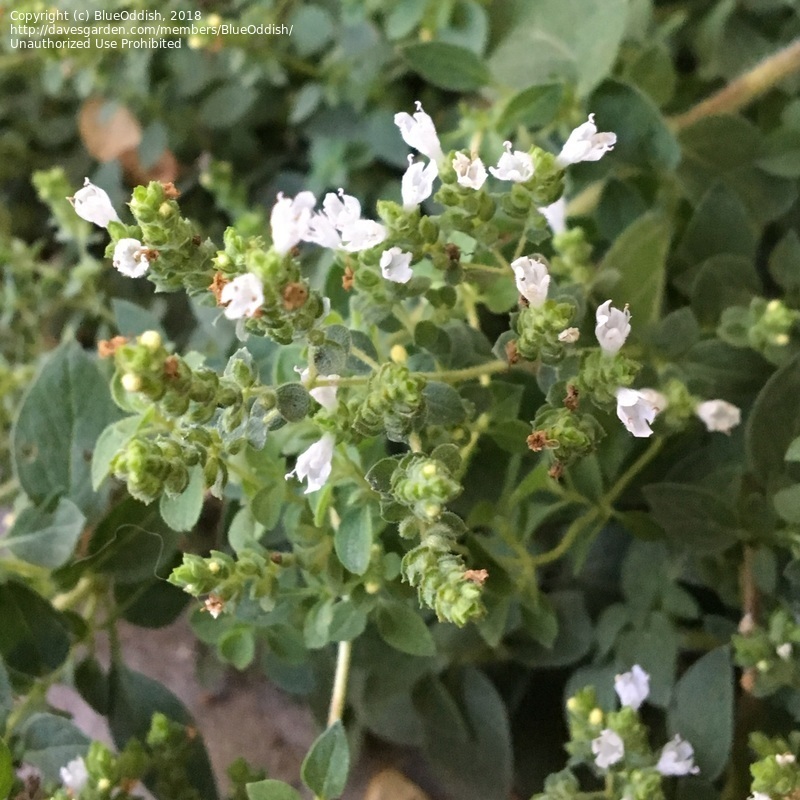 Greek oregano just starting to flower. 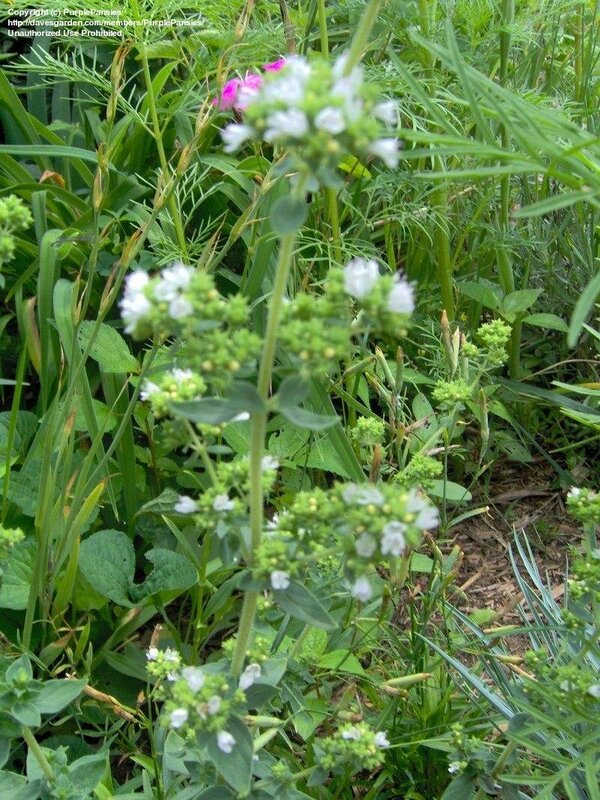 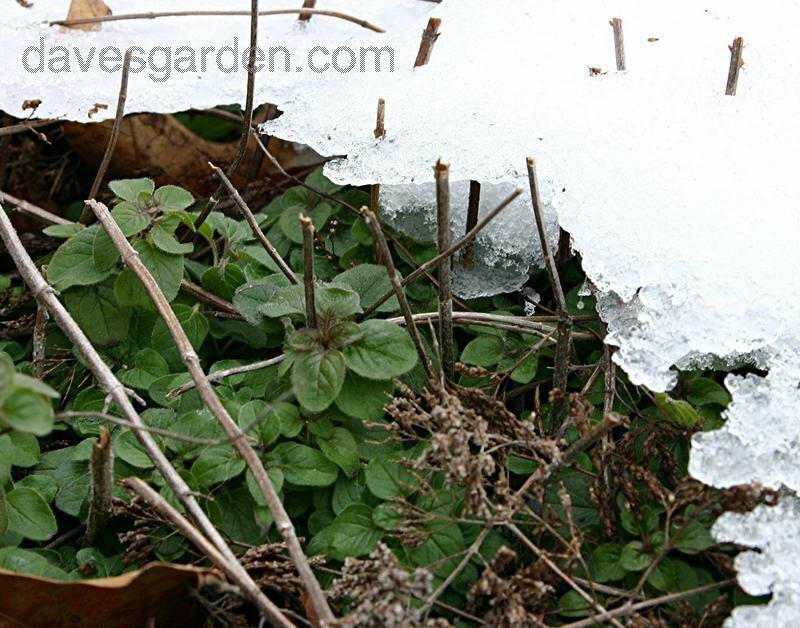 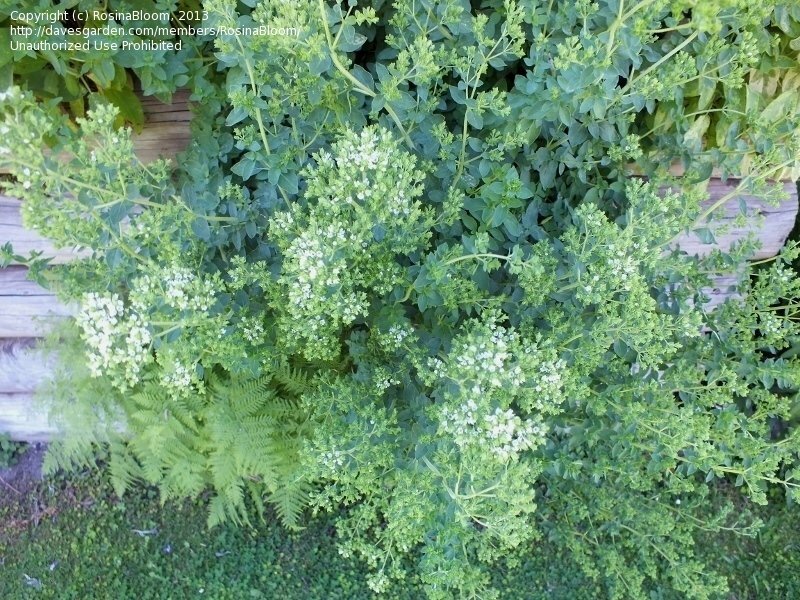 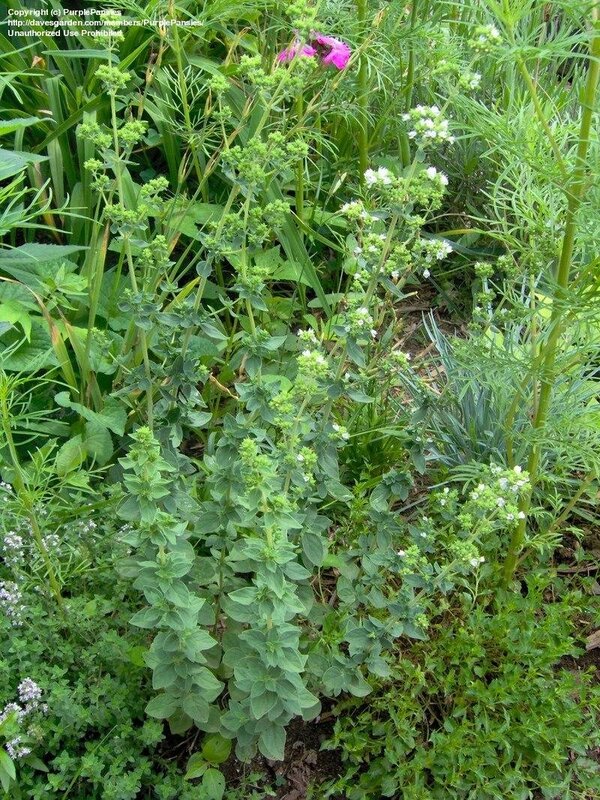 Green bracts surrounding small white flowers are smaller than Italian (marjoram) oregano. 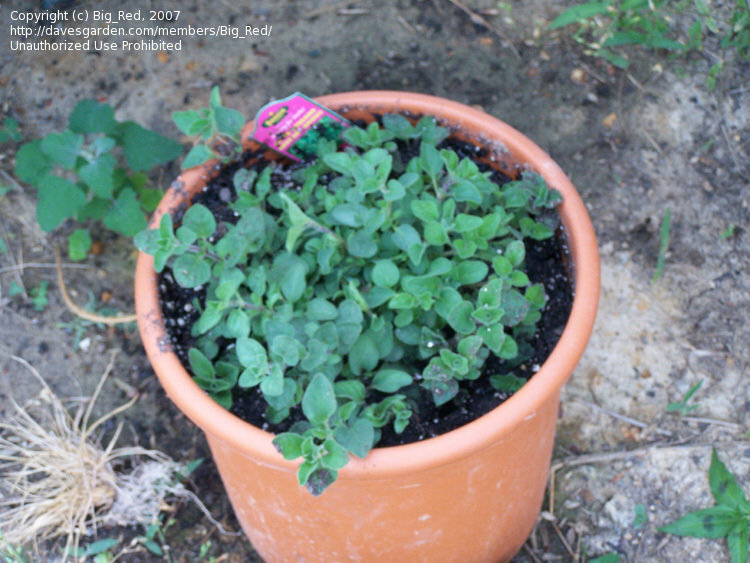 Set this one out on May 13, 2007. 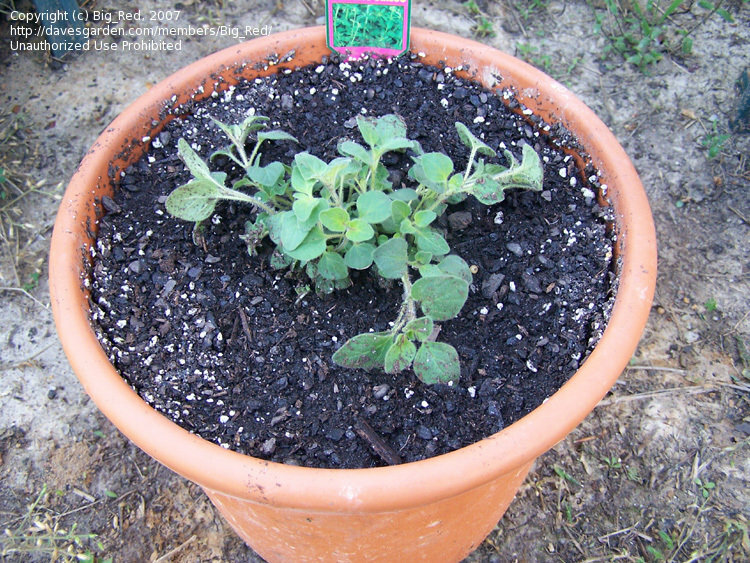 2 weeks from setting out plant.